Costs – How much does it cost to remove or trim trees in the Rochester, New York area? Find that info here. FAQs – Do you know what the tallest trees in Rochester area? How about the regulations concerning planting or cutting trees near power lines? Learn more. Services – Call a pro today! How Much Do Tree Services Cost in Rochester? Owning property that is filled with trees can have its benefits such as adding more shade to your yard or improving the look of your property’s landscape. However, having an abundance of trees can also be a nuisance if there are dead branches, stumps or unruly trees that need to be trimmed or cut near your home. The amount that most homeowners in the Rochester area spend in order to trim or remove trees and shrubs on their property can range between $490 and $650. The cost can depend on how tall the tree is, whether or not it is located near power lines and whether it could possibly fall on a home or other nearby structure. Stump removal can help to eliminate unwanted tree stumps, which can be an eyesore for many homeowners. The cost to grind and remove one large tree stump can range in price from $83 up to $140. This includes the cost for labor and equipment. The average cost per stump removal for medium-sized stump removal can range from $79 to $140. Tree service companies located in the Rochester, New York, area can provide homeowners with the landscaping or tree removal services they need in order to have an aesthetically appealing yard. Homeowners can expect to pay between $370 and $560 for these services. The costs are typically based on several factors, including the location of the tree, how tall the tree is and the amount of trees or stumps that need to be removed. 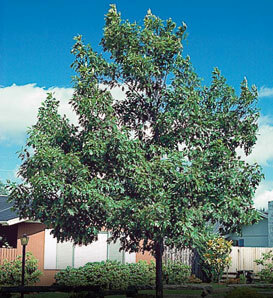 The type of tree in question can also have an effect on the total cost of removal services. Rochester is known as the City in a Forest and is home to an abundance of beautiful trees. Many homeowners in the area adorn their lawns with hardy shade trees and decorative ornamentals, including flowering Magnolias and Redbuds. Rochester has been recognized as a Tree City USA Community by the Arbor Day Foundation for 33 years, and the state of New York is 24 percent covered by trees. The estimated annual benefit Rochester receives from street trees is $122 million. While the City of Rochester appreciates new trees being planted in the area, there are some rules and regulations that all local residents must go by when it comes to planting, trimming, cutting or removing trees. Here are a few tips on planting and removing trees on private property as well as which trees grow the best in the area. Fruit trees are very common throughout the state of New York with some of the most popular being mulberry, apple, pear, peach and cherry trees. 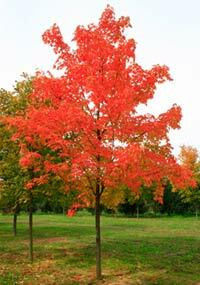 The state tree for New York is the Acer saccharum, also commonly known as the sugar maple. The sugar maple tree is one of the largest hardwood trees. The sap that is derived from its trunk may be used to make maple syrup. Sugar maples feature bright, brilliant colors during the fall season, and they greatly contribute to New York’s fall foliage. They typically do not begin to flower until they are around 22 years old, and they can live to be anywhere from 300 to 400 years old. New York has a large variety of small trees as well. The shortest trees commonly found in Rochester include crabapple, hawthrone and redbud. Homeowners who would like to either plant new trees or remove trees and stumps from their property will need to find out more about the City of Rochester New York Preservation Guidelines. Trees and shrubs that can grow exceedingly high or wide should not be planted near historic buildings. This is because roots and branches can cause damage, and leaves may clog the gutters and down spouts. Each species must comply with the city’s Approved Plant Material List per the zoning code in order to be planted. Removal of any tree with a trunk that is over 6 inches in diameter and measures 4 feet above the ground requires a Certificate of Appropriateness. Removal of a mature tree that is believed to be diseased requires a written certification by a licensed arborist. Hedges should be trimmed and planted in an area where they will not constrict walkways or crowd buildings once they have reached full maturity. For any hedge that is expected to be taller than 4 feet, a Certificate of Appropriateness is required. Trees planted 30 feet from transmission line right-of-ways should not exceed 15 feet in height. Any trees planted 60 feet to 90 feet away from the transmission line should not exceed 25 feet in height. Any trees planted 90 to 120 feet away from transmission lines should not exceed 60 feet in height. 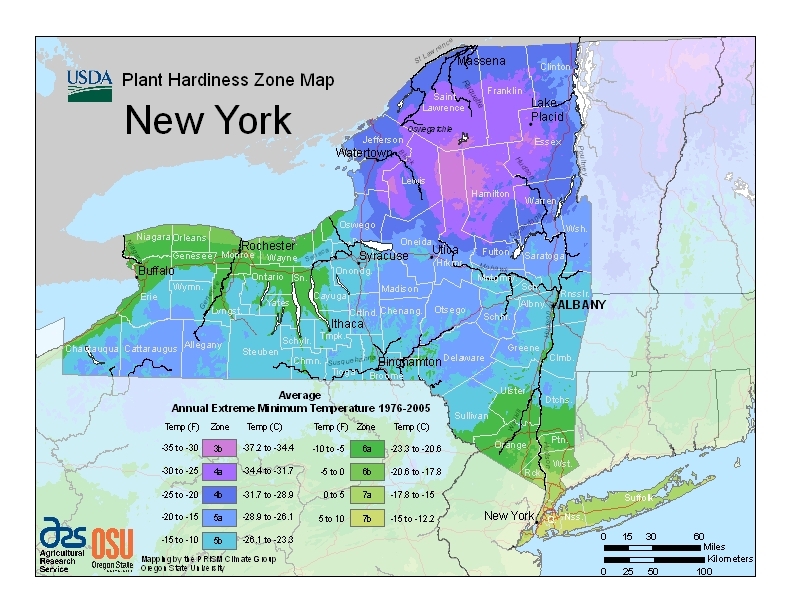 Insects can be a major disturbance for trees in upstate New York. Some of the most common pests include the European pine sawfly, aphids, borers and scale insects. Aside from infestations and holes caused by insects, trees in Rochester are subject to several diseases, including anthracnose disease, which is a fungus that typically affects flowering trees. Black knot is an infection that can only be cured by pruning the affected branches.